Volunteer with children in Romania and support the work of local teachers and caregivers in disadvantaged kindergartens and daycare centres. You’ll gain practical childcare experience and learn new skills, which can help your future career. Best of all, you will help where it is needed most and work on sustainable, long-term goals. In Romania, care centres are overcrowded. Teachers and caregivers need your help to give a bigger focus to early childhood development. This way, we can make sure children meet the development milestones typical for their age. You’ll also have the option of working with children who have special needs, and caring for the elderly. 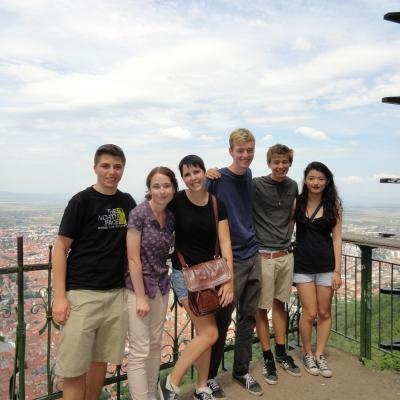 You’ll be based in the ancient city of Brasov, and live with a local host family. This will be your home away from home and you’ll learn all about Romanian hospitality, culture, and traditions. Is volunteer work with children in Romania right for me? 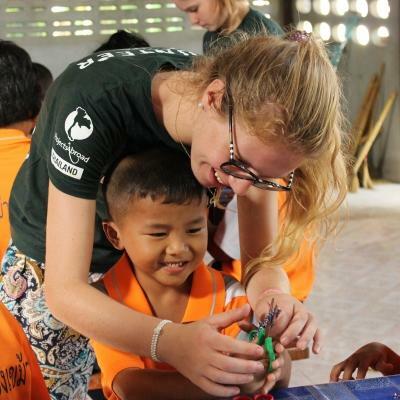 This project is ideal for anyone who wants to support disadvantaged children and education. This project is also a good fit for anyone interested in working with special needs children, or caring for the elderly. You’ll gain practical experience, which could help your future career. You’ll also learn and develop skills like teamwork, leadership, and planning. If you have loads of energy, take a playful approach to life, and enjoy the antics of little ones, working with children in Romania is definitely for you. No experience in childcare? No problem! You’ll support the local teachers and caregivers and have Projects Abroad staff members close at hand to help guide you along. If you have some experience in working with physically or mentally disabled people or the elderly, your expertise would also be greatly appreciated. 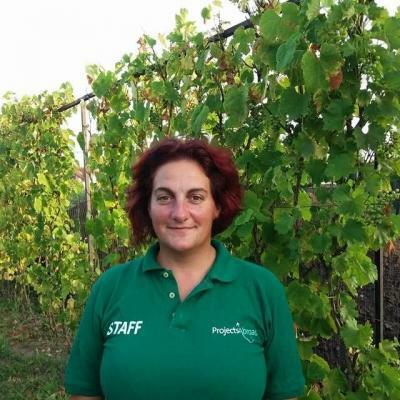 Local staff are often overstretched in their duties and would welcome your dedication and enthusiasm. They are always on hand should you require any advice or guidance. To work with children in Romania, you must do a basic medical check and get a Police Clearance Certificate. This is used to demonstrate that you are fit to work with children. Please note that it can take up to 40 days to receive clearance. In addition, you will need to be at least 18 years old to join. Our Childcare Project in Romania runs year-round and you need to spend at least two weeks on the project. We encourage you to stay longer to make a bigger impact on the people you work with. What will I be doing as a Childcare Volunteer in Romania? English has undeniably become the global language for business and tourism. So, knowledge of basic English from an early age can substantially increase children’s educational as well as future employment prospects. As a Childcare volunteer working with children in Romania, you will offer invaluable help in introducing them to English. You will do this by improving their phonetics, pronunciation and grammar through fun and stimulating games and activities. You will also be improving early childhood development by helping the children learn important skills through play. 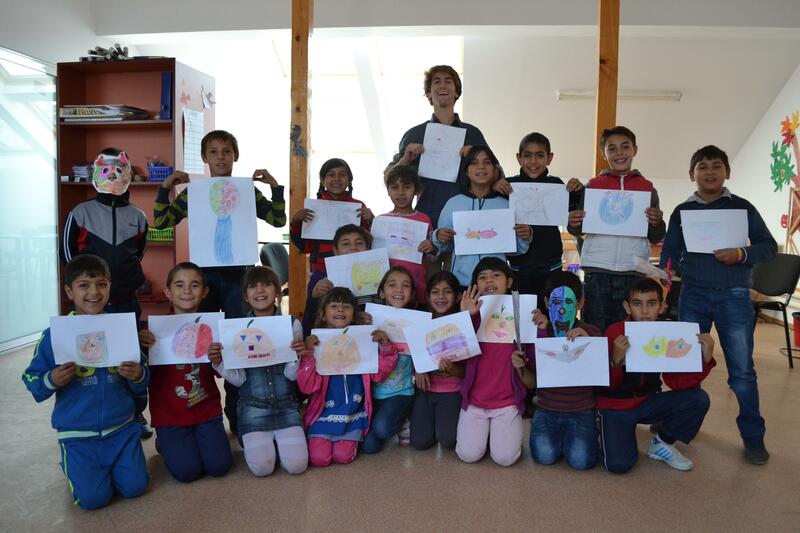 The special needs centres we work with in Romania are often understaffed and low on resources. As a volunteer, you can offer a much needed helping hand in spending time with, reading to, and playing simple games with residents. This helps local staff find time to do other crucial work associated with the running of the placement. If you want to support the elderly, you can opt to work at a shelter. Here, you will play a crucial role in helping arrange activities that will keep them mentally stimulated. You can also engage those that are still physically active in outdoor activities and games to improve health and well-being. One of the best things about joining one of our volunteer programmes is the fact that you get to meet other volunteers from all over the world. 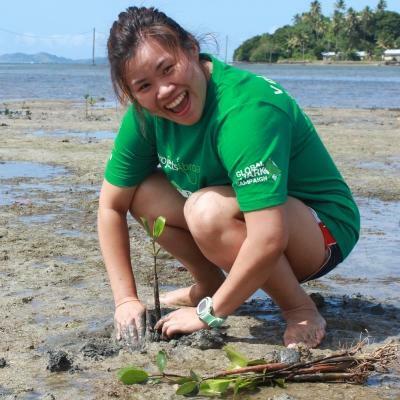 Make the most of this opportunity by sharing ideas for activities, lessons, and games you can do during regular workshops organised by Projects Abroad staff. You can also share these ideas with placement staff, who can add them to their existing class routine to add a bit of variety. You will upload this information onto our Global Impact Database. This database allows us keep track of the development at our placements and plays a crucial role in helping us constantly improve. 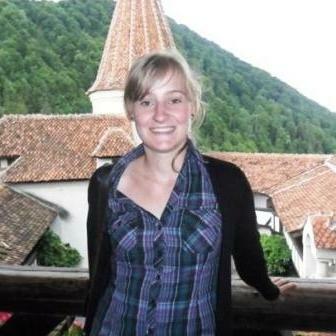 Where will I be working as a Childcare Volunteer in Romania? 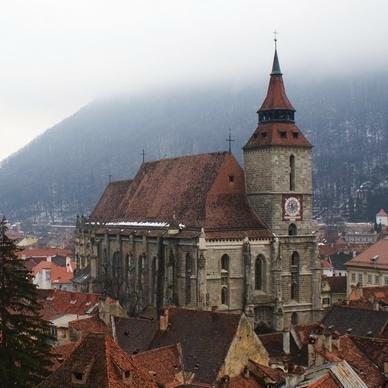 You will be based in the ancient city of Brasov. With its terracotta coloured roofs, gothic spires, medieval gateways, baroque buildings, and pedestrian-friendly streets, it’s almost like a fairy tale come to life. Although it may seem quaint and almost old-fashioned at first sight, the city is bursting with modern hustle and bustle. Your placement will depend on what type of care work you are interested in helping out with. These centres are often overcrowded, and local teachers and caregivers desperately need more support. Evenings and weekends will normally be your free time to explore. There plenty to see within Brasov and the Transylvania region. A typical day will run from about 8am to 5pm. Every day at work will be different. On certain days you might help run an arts and crafts programme, while others may include outdoor sports activities or basic English lessons. If you’re working with children, you will support local teachers with their classes for the first part of the morning. Later, you will have the opportunity to work on English and improving literacy with the children. If you’re working with disabled children and adults or the elderly, your morning will start by helping serve breakfast. This will be followed by engaging in mentally stimulating activities, such as reading, building puzzles, or playing simple games. Between 12pm and 1:30pm, you will have a lunch break. If your host family lives close to your placement, you can head home for lunch and a short rest. Alternatively, you will enjoy a packed lunch. Your afternoons at work will mostly be spent doing more relaxed activities, such as arts and crafts or possibly outdoor sports and games. During the hours you aren’t working, you’ll have ample free time to explore with your fellow volunteers. Since you will be living with a local host family, breakfast or dinners offer great opportunities to get to know them better and fully immerse yourself in their way of life. What are the aims and impacts of childcare volunteering in Romania? The main aim of this project is to support early childhood development at disadvantaged kindergartens and daycare centres. Projects Abroad has elected not to work with children in orphanages in Romania, but rather focus on community-based programmes that allow children to remain within their families. With kindergartens and daycare centres often being overcrowded, local teachers and caregivers struggle to divide their attention equally. Because of this, some children may have trouble learning certain skills, depending on their interests, strengths, and weaknesses. There is also a great need for children to learn English from a young age. Being able to speak the language fluently opens doors for further education and better jobs later in life. With your help, we can make sure more children learn important early childhood skills, and get more practice speaking English. Our Childcare Project in Romania also extends to children and adults with physical and mental disabilities, as well as the elderly. Many of these care centres are understaffed and in dire need of resources. As a volunteer, you can help local staff with daily tasks and offer much needed kindness and attention to residents. Help us achieve these long-term goals by joining us as a Childcare volunteer in Romania. I feel that my experience has been, overall, very rewarding although emotional at times and highly beneficial for the children. Certainly in that the time we were able to devote to them and the sort of activities we did with them were so well received and would not have been available to them had we not been there.